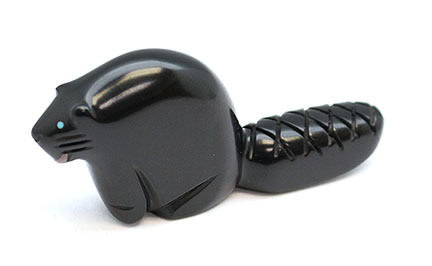 This beaver is carved out of black jet and has turquoise dot eyes and shell teeth. It measures 1 1/4" tall, 2 3/4" long by 1/2" thick. It is carved by Zuni artisan Emery Boone. Size may vary some.